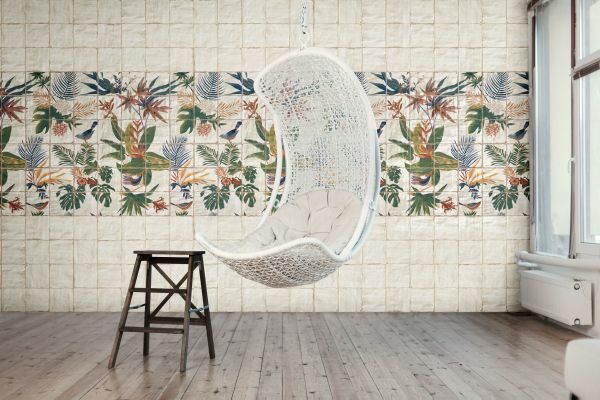 The Spanish ceramic tile manufacturing industry is known for being one of the most innovative and dynamic in the world and the 35th edition of Cevisama, which took place at Feria Valencia, Spain, in February, proved no different. 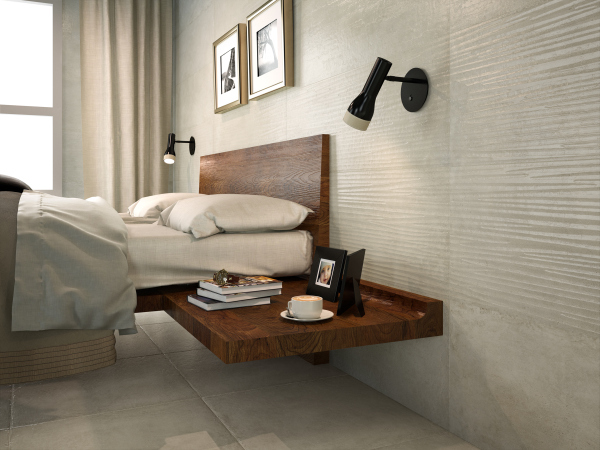 This year’s fair saw many timeless and neutral materials in a wide range of formats. 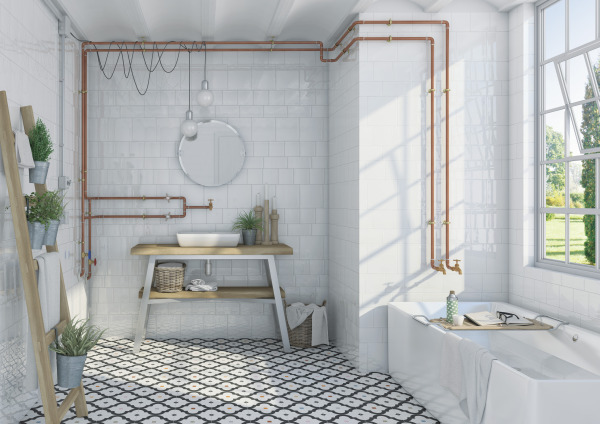 Reproductions of stone, marble, wood and cement are still on trend, whilst other effects include pure metals, steel, terrazzo and “stracciatella” finishes. 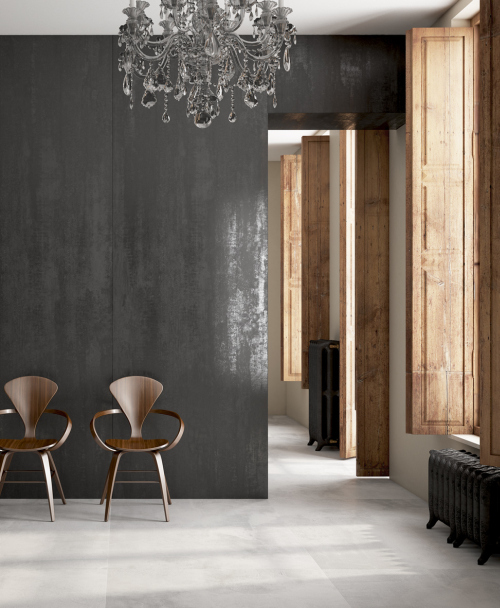 Decorators are also experimenting with textures, geometric shapes, colour and movement. 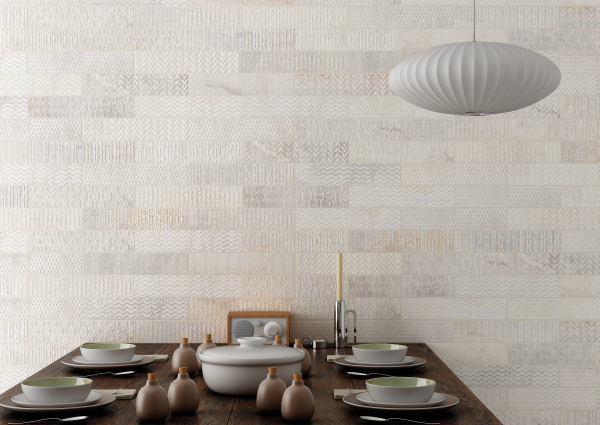 White Etnia wall tiles by Vives Cerámica bring light into every corner of this room. 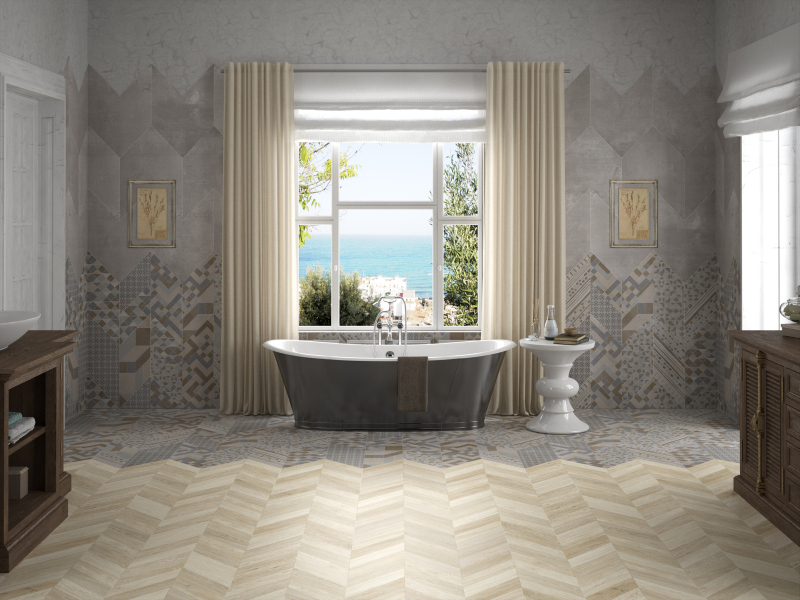 Mainzu Cerámica’s Livorno series in white with Sonata wall tiles. 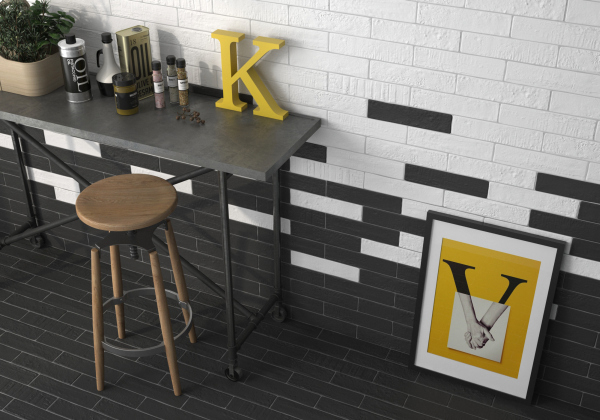 A Geo Brick collection combining black and white wall tiles. 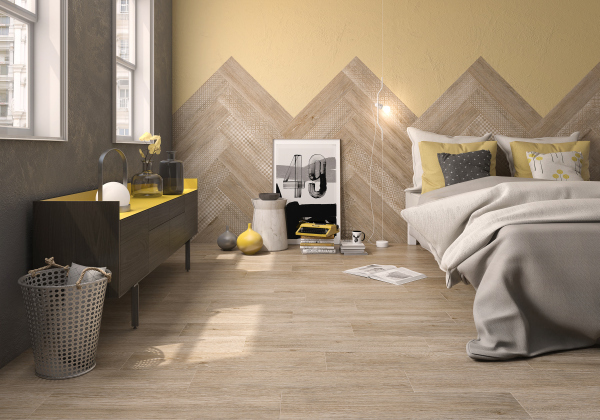 A herringbone pattern with the Roca Cerámica Geo Wood collection. 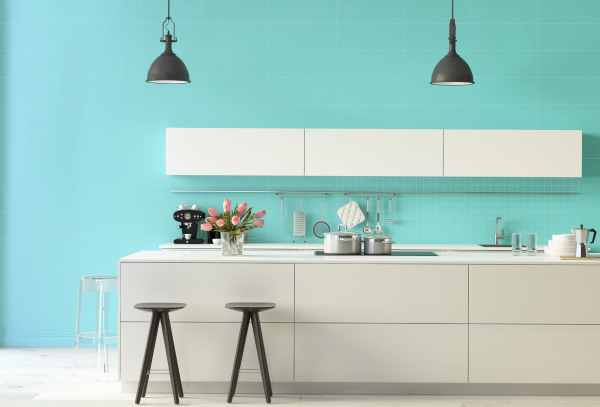 Cerámica Saloni’s Integra series adds a sense of movement to walls. A stony brick tile with a versatile mix of patterns by Gayafores. The Levantina Blaze collection features 100 x 300cm tiles with a metallised finish. The Keros Cerámica’s Aguamarina series is inspired by the underwater world – something seen in many of this year’s collections. Full thanks and acknowledgement are given to Ascer and Cevisama, Feria Valencia and Tile of Spain for the information and photos given to put this article together.